About The Pool Man | The Pool Man Inc. The Pool Man was established in 1981 and has earned the reputation as one of the top rated Houston pool builders for our commitment to custom design, quality craftsmanship and personal service. We proudly serve Houston, Tomball, Magnolia, Cypress and surrounding areas. Our services include custom pool design, new pool construction, pool service, and swimming pool repairs. As a family owned business, we take personal pride in our work and will never put a pool or spa in someone’s backyard that we wouldn’t be thrilled to have in our own. From luxury custom pools to budget friendly family pools, we approach every project with the same dedication and enthusiasm, bringing our best to every backyard we’re invited into. It’s this commitment to quality and service that has inspired homeowners to return to us time and again over the years and to refer us to their family and friends. When looking for a Houston pool builder, think The Pool Man. We have one single mission – to create your ideal backyard retreat. A place you can envision spending your evenings relaxing after a hard day at work. A place to enjoy the perfect weekend afternoon. A place to create family memories. Whatever your perfect backyard retreat is, The Pool Man’s goal is to design and build your perfect backyard retreat in a timely, cost-effective way. The Pool Man has been helping homeowners repair, renovate and build the pool of their dreams since 1981. Our staff is trained and experienced in every aspect of the swimming pool industry. While other Houston pool builders may see you as a single project, we approach every new customer as a new relationship that we’d like to cultivate for years to come. Our client relationships are built on a strong foundation of trust and communication. Our customers know that we have their best interests and needs in mind when we design, build, service and repair their pools. It’s our goal to provide an enjoyable customer experience that leaves you 100% satisfied with your pool and backyard. Our design team will work with you to create your backyard resort, making the construction process enjoyable. 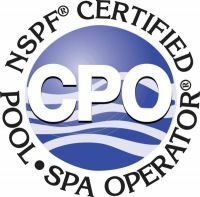 Servicing your pool isn’t a problem for The Pool Man, Inc. We are an authorized warranty station and have professional certified trained technicians in house. We can set you up with a maintenance program to clean and chemically balance your pool weekly, allowing you more time to enjoy your pool. Experience for yourself what customers of The Pool Man, Inc already know… honesty and integrity aren’t just words, but the way we conduct our business. Why Choose The Pool Man? Family owned and operated since 1981, a nearly 40 years history of excellence. Experienced design consultants with 21 industry design awards. Our own design center for discovering your backyard vision. Simple and easy maintenance with a 99% cleaning guarantee. An installation team focused on supervision, communication and quality control. Standard package that includes items that are upgrades with most other companies. On site Pool School for a smooth transition from construction to daily operation. In house staff of industry trained service and maintenance professionals for ongoing support. Pool Protection Plus extended pool warranty with every pool. Member in good standing with the BBB, APSP, APEC, PACE and the Tomball and Cy-Fair Chambers of Commerce. THE Pool Man supports our veterans by getting involved in local charities like Operation Military Embrace, The American Legion and The VFM. We also support our community through sports, church, civic and school programs for our youth. Our company has won numerous awards from the Association of Pool and Spa Professionals and Best of Houzz 2016 Service award; however that is not why we are here. It is our desire to provide our customers with the best product and experience that we can. Our customer’s satisfaction and happiness is the best “award” we can receive, and their personal referrals to family and friends is the greatest honor we can achieve. We understand that building a new swimming pool is a huge project – which is all the more reason why our number one priority is to provide quality pool service and become a company you can trust. Over the years, we have earned a reputation as an honest business dealing with satisfied customers. 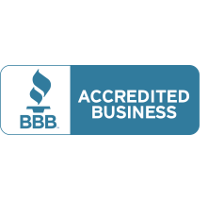 The Pool Man is a member of the Better Business Bureau of Metropolitan Houston, the Tomball Area Chamber of Commerce and the Association of Pool and Spa Professionals. We invite you to contact each of these organizations for a report on our superior service and craftsmanship. People join a Chamber of Commerce for different reasons. Some people want the chance to network with other business and community leaders. Some welcome the publicity that active involvement in Chamber activities can generate about their own business. Some people want the opportunity to have a role in community affairs. 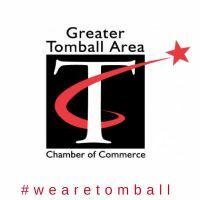 The Greater Tomball Area Chamber of Commerce works hard to help our members achieve any and all of these objectives. Robert’s been in the swimming pool industry for 41 years. 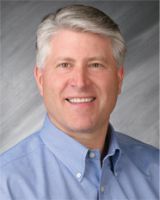 He founded The Pool Man in 1981, with the promise to deliver outstanding swimming pool service to customers in Houston and the surrounding areas. His main objective remains the same today- helping you create the perfect backyard escape. Robert is married to Merrie Sheltz and they have three grown children living in the Tomball area. 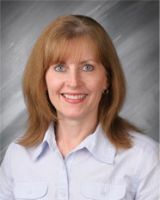 Co-founder of The Pool Man, Merrie has been contributing to the company’s success for 36 years. Keeping the office organized, she is the main source of support for the Pool Man staff; allowing our team of custom pool builders to better serves you. 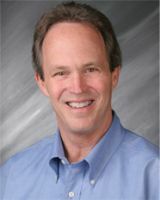 Ted joined The Pool Man in 2001, bringing with him over 43 years of knowledge and experience in swimming pool construction. As the Head of Sales in our new pool construction department, Ted helps homeowners create a pool design that exceeds their expectations while still fitting within their budget. Ted and his wife Donna live in Tomball and have been married for over 30 years with three grown children.